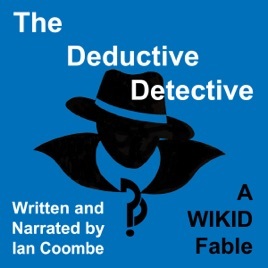 The Deductive Detective is a modern fable from the international speaker and #1 bestselling author on decision-making, Ian Coombe. It is a story that describes a key strategy that can be used for making decisions and how it can help solve complex problems. Deliberately designed for today's busy life, it can be read in 7 minutes — ideal over the daily cuppa! Like all of Ian's WIKID Fables, it is cleverly written with no gender, family structure or pet species named to ensure it resonates broadly. Ideal for youth, adults, parents, families, schools, managers and leaders.